Students dance through lunch during the Neon Rave. As the school said its farewell to 12 years of DRMD, it also welcomes a new event, the Neon Rave. This one-hour event is an edition to the original DRMD. Students donated 10 or more dollars more dollars to dance in the gym. All the money goes to an organization, ASK, that helps kids battle cancer. Mrs. Kathleen Kern ran the original DMRD years prior, but she was able to give new students a taste of what the older students experienced. “I am very sad that I am not doing Marathon Dance anymore, so my hope is to continue to provide opportunities for Deep Run students to help people in the community who are struggling. I look forward to the kids having fun during lunch,” Kern said. Charlie Breckenridge, 2018 graduate, returned as the DJ for this event, as he did last year for the outside neon rave. “I was asked a couple months ago and I was immediately excited because I did it last year for the neon rave at two in the morning in the court yard rather than in here I [was] able to take those former experiences and improve them and make something better,” Breckenridge said. Even though planning for this did not take nearly as much effort, Individuals from the DRMD committee came to show their support. 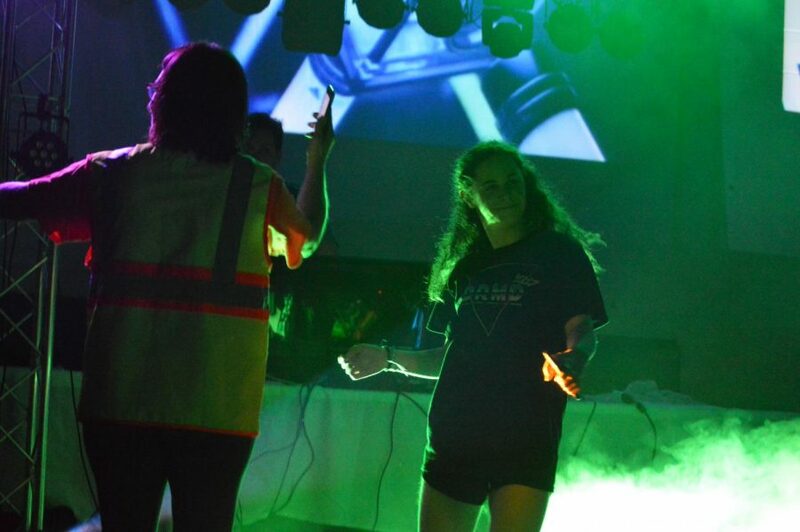 “I was really excited that we had this rave just keep on raising money for charities in need, and it really showed how supportive our school really is for this whole event,” senior Gabby Brophy said. Overall, the event was a success, raising close to 1,500 dollars. As of right now, it is undecided if the event would happen again, but being optimistic that it does, the rave could be moved to lunch so that more kids are able to attend. Either way, the rave brought a lot of charity, community, and enthusiasm to the student body in just one hour.